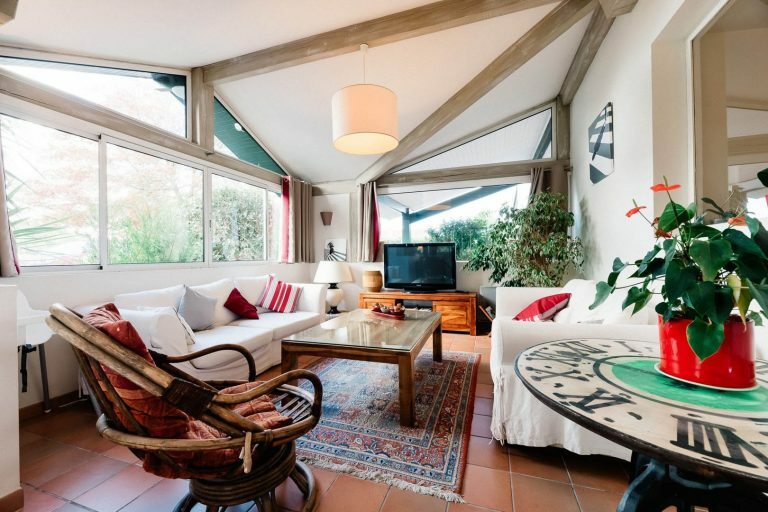 The hotel Laminak in the Basque Country is a beautiful typical house quietly located at the gates of Biarritz and Bidart, of the ocean and the picturesque countryside. 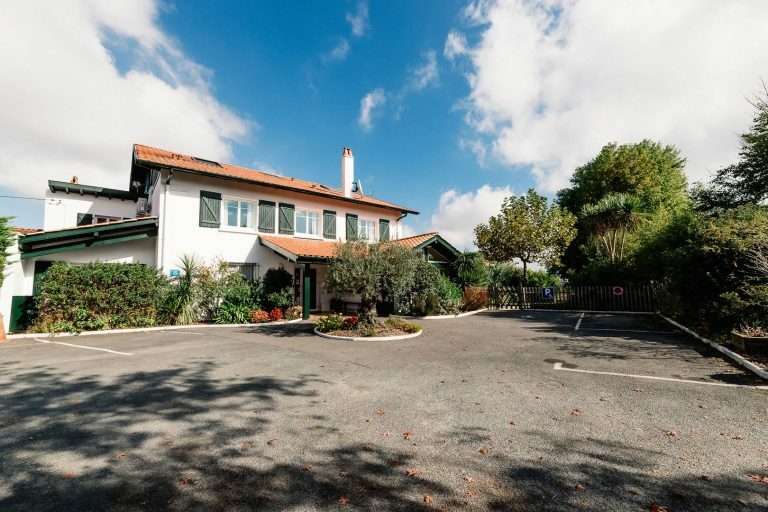 You will be warmly welcomed by Pascale & Martial Mazabraud, owners since 2014, who have completely renovated this charming hotel offering all the comfort and services you expect. 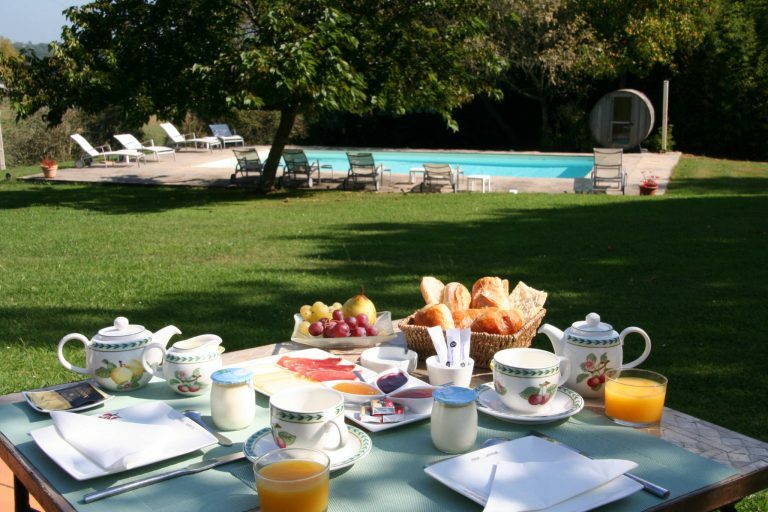 Sit down, we serve you your breakfasts on the terrace or in our veranda from 7:30 am to 11 am. On request, local ham, Basque sheep’s cheese and eggs. 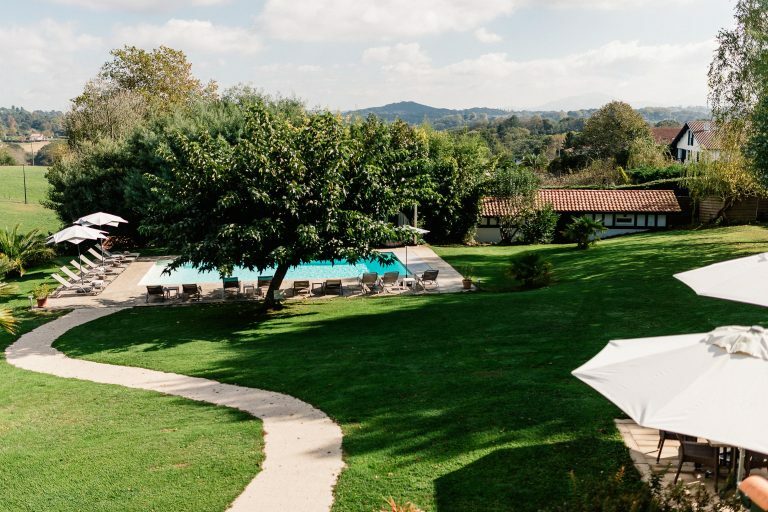 Enjoy the heated swimming pool (11m x 5.5 m) in the heart of its wooded garden. You can relax on the deckchairs by the pool with a refreshing drink. Available from April to November. For your well-being, a nice sauna by the pool is available on request (allow 45 minutes of preheating before using it). Of Finnish origin, this atypical barrel-shaped sauna can accommodate up to 4 people. Ideal for relaxing after a day of work or visits. In the garden, you will discover different species of local and exotic trees. You will meet our landscaper friend on wheels “Charlie”. Relax in our garden lounge under the trees or on the terrace. Relaxation area with books in several languages at your disposal during your stay. In this lounge, you will find various informations on hikes and places to visit. Other bright living room with large TV (DTT, Canal+, RMC Sport & BBC). Accessible 24 hours a day only for our customers with a place allocated to people with reduced mobility. A charging station for electric cars is available on reservation. A recycling area is also at your disposal at the edge of the car park. 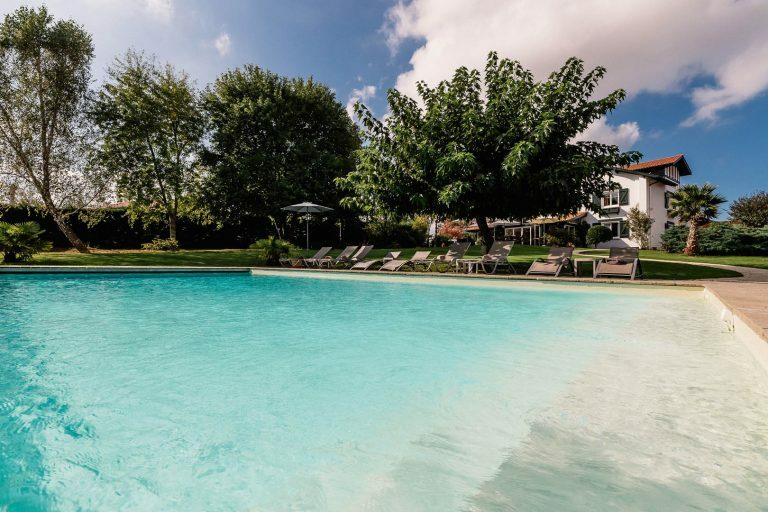 Hotel Laminak is a hotel with a swimming pool in the Basque Country located at the gates of Biarritz and Bidart, which offers you many services. Whatever your desires, we will do our best to make your stay in the Basque Country as pleasant as possible: advice on places to visit, recommendation and booking of restaurants and activities (golf, massages, museums...). Tell us about your preferences and take advantage of our reduced rates!